instance scale and rotation settings. 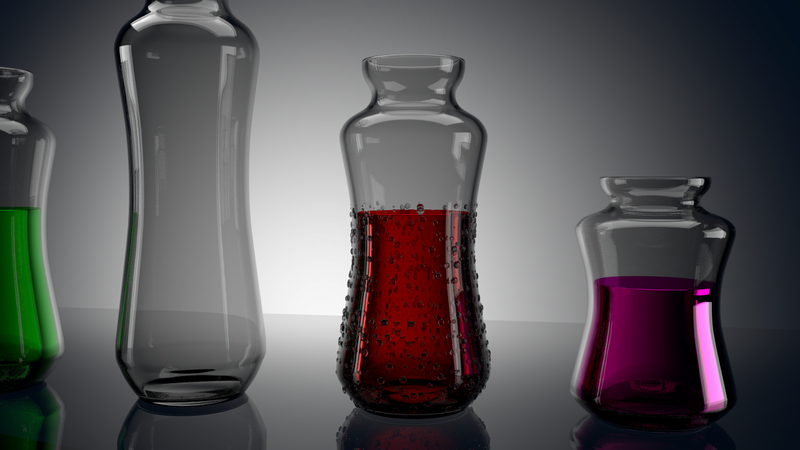 Adding static water drop in Blender is relatively easy in Blender. But if you need the dynamic water drops, it is very complicated. However I found a way to do that. May be in the next tutorial I will discuss that. Adding static water by particle instancing is the great way to achieve believable effect with less time. In this tutorial I just used a single sphere for instancing. For more realism you can use different shaped water droplets(you need to sculpt/model it). In order to use different models at a time for instancing you need to group it and use that group under particles instead object. You can use the scene file and study the techniques.Hmm...It is very basic. Hi. I don't get a download link for the chess set when I tweet as instructed. I have tried using both Internet Explorer and Firefox browsers (from Windows 8). How is this supposed to work? Is there supposed to be a Pop-up window with download after I tweet/share? Are you sure you are signed in in twitter. Yes, I was signed in with Twitter. And I had to remove the tweet a number of times when retrying cause Twitter was telling me I already tweeted that message. I tried again today from both browsers with the same result. The tweets are visible from my Twitter account, but I get no download button, even after ten minutes. I only see the advertisements. I think I have pretty standard settings on my browsers, probably with some level of pop-blocking. But I don't normally have problems with download links.